Holy crap! EU lands space ship on fricking comet! The Rosetta landing was an inspirational feat, and may tell us if we are alone in this universe (so very highly unlikely!) But more than that, on seeing what they pulled off there I realized that the impetus for space exploration has exited the United States (if it was ever here to begin with). The most important missions in American space history were done under the names Voyager and Galileo. Those missions, wholly publicly funded, were stunning successes. 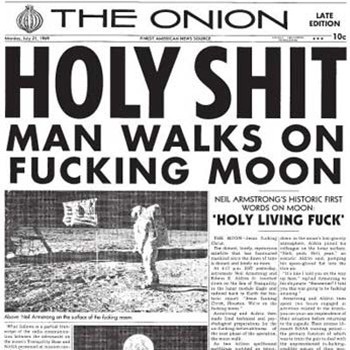 The moon landings, if they happened at all, were an impressive feat. But why, pray tell, did we never go back, advance the technology, expand our horizons beyond the moon? Why did we retreat from 248,000 miles to 200? Huh? Huh? Far more likely, Apollo was a stalking horse for development of ICBM technology and placement of weapons in space. But we did it American way – with lies, fakery, deceit, all mixed up with excessive patriotism. Anyway, just as the beacon of democracy has left the United States, now residing in Russia and China, so has the impulse to move forward in space exploration. Rosetta is an impressive technological achievement, and may yield the answer to the question long sought in so many other ways: Are we alone?